Finding yourself tapping beats with an itch to create some rhythms? 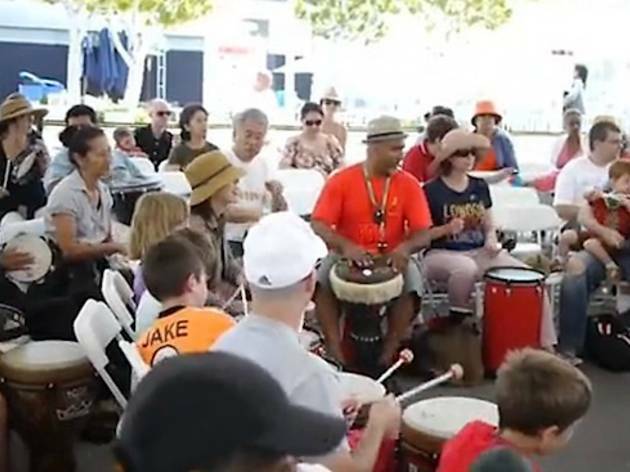 You’re in luck, because Grand Park and the Music Center (who have brought you the great Dance Downtown) are further collaborating to give percussion enthusiasts the equally free Drum Downtown this summer. 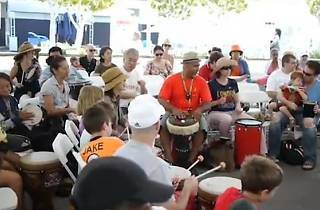 Organizers will provide a first-come first-serve crowd with choice of drums, bells and tambourines, and a drum master will conduct the rock-out. All levels of experience are welcome and attendees are encouraged to bring along food picnics. Sounds like a banging good time.